Known for his French, Mediterranean, and American styles of cooking, Chef Gary Danko is one of America's most talented and respected chefs. Originally from upstate New York, Gary relocated to San Francisco in 1977 and worked as a waiter at the Waterfront Restaurant. Gary has been Chef and Executive Chef at Beringer Vineyards, Chateau Souverain, and, at the Dining Room at the San Francisco Ritz-Carlton. 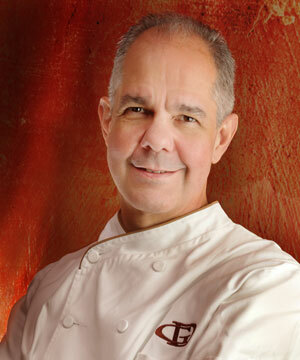 He has been a featured chef on the Food Network, and also on PBS. He owns and operates the restaurant Gary Danko in San Francisco. His gourmet recipes Seared Foie Gras with Apricot and Verjus and Moroccan Style Stuffed Squab are featured in World's Most Beautiful Recipes.